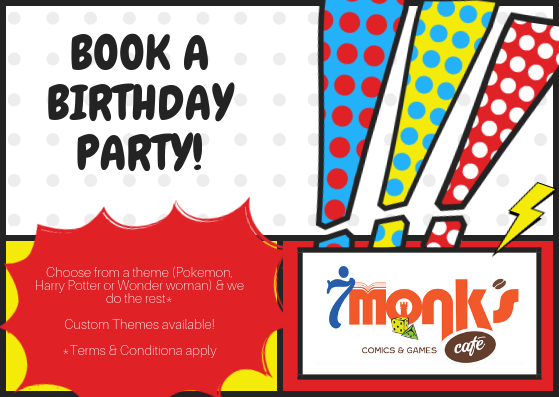 Celebrate your birthday at 7 Monks! & goody bags, for each child, to take home. Guest receive a 20% discount on all purchases, on day of party. 30 minute setup time before the party. ​We require a $75 non refundable deposit to book the party and this will be applied to the balance at the end of the event.